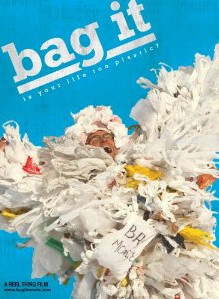 It looks at the bizarre basics facts of plastic bag use. Industructible plastic makes no sense as a material to use for disposable bags. This is more that bags, but how plastic is contaiminating and killing in the ocean and how chemicals from plastics are invading our bodies and doing considerable damage, including feminising males (smaller penises) and masculinising females and causing autism.